Persuasion marks the last of Jane Austen’s novels—the completed ones, at least. It starts in media res (in the thick of things). In it, we follow the life of our lovable heroine, Anne Elliott. At 27, Anne is still unmarried. Her youth and bloom having disappeared early, Anne is the shell of her former self. As the story progresses, we soon learn the reason behind her resigned air and fading good looks. About eight years prior to the start of the novel, Anne had entered into an engagement with a handsome navy officer, Frederick Wentworth. Though she loved him, she reneged on her word after her family and close friend expressed their disapproval of the ‘imprudent’ match. To them, Frederick was most unworthy of Anne. She was, after all, the daughter of a wealthy baronet, and he was a poor navy officer with little to offer. The two part ways with much ill-feeling between them. Though the years soon pass, Anne’s feelings for Frederick remains unchanged. This becomes most apparent when the two cross paths again. But Frederick, now a successful and wealthy Captain, appears to want little to do with Anne. Will the two end up together? Well, considering this is a novel by Austen, the answer shouldn’t be that difficult to figure out. And there lies the central story of Persuasion. Despite its seemingly simple plot, Persuasion is made interesting by its plethora of unforgettable characters. In it, we have the incredibly vain and selfish trio that composes Anne’s family—her father, Sir Walter Elliott, and her sisters, Elizabeth and Mary. We also have the scheming duo of Mr. Elliott and Mrs. Clay. But my favorite of all peripheral characters is the kind-hearted and romantic, Captain Benwick. In him, I see this sanguine personality that no amount of melancholia can completely sink. His natural disposition is to find love and give love, and though there is no disputing the appeal of the manly and handsome Captain Frederick Wentworth, there is much to love about Benwick, as well. Beyond my usual praise for Austen’s incredible ability to infuse excitement in the everyday, what I love about Persuasion is that it showcases Austen’s growth as a writer. Many consider this final novel as somewhat unpolished compared to Emma and Mansfield Park, to me, however, the relative absence of the author breaking the fourth wall only heightens the subtlety and wit of Persuasion. Also, who doesn’t love the massive rewards delayed gratification brings? 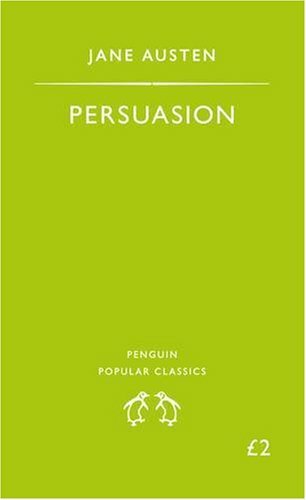 All in all, Persuasion is a fine book which I would gladly recommend to all Classic readers and romantics. Northanger Abbey follows the story of Catherine Morland, an unexceptional young woman from the country, who finds herself suddenly a part of the elegant and complex society in Bath. Under the ‘guidance’ of the vapid, though not cruel, Mrs. Allen, Catherine finds herself acquainted with the wrong crowd. Mercifully, she is saved from further social mishaps when she joins the company of the handsome, though somewhat unromantic, Henry Tilney, and his lovely sister, Eleanor. As would be expected, she falls for Henry, and there is reason to think that he begins to feel the same for her. The only setback lies in the meddling of Henry’s father, General Tilney. Therein, is the real story, and it starts quite late in the novel. Although the rest of the novel is pleasant enough to read, Northanger Abbey is a lot like Emma, in the sense that the story is not as rich or eventful as Jane Austen’s other works. Notably, Sense and Sensibility and Pride and Prejudice. What gets the reader through the piece though, is the strength of Catherine’s character. Yes, Jane Austen does take pains to establish how Catherine is unremarkable in almost all aspects—but she also makes our heroine incredibly interesting. Austen infuses her with youth. Catherine’s curiosity and naivety makes her relatable—and that is the mark of a good character. Northanger Abbey is often regarded as Austen’s earliest work. This shows, especially in Austen’s immense presence in the text. The author makes her thoughts known in a very direct manner throughout the book. 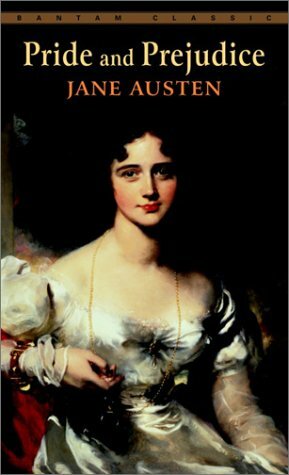 In her latter works like Persuasion and Mansfield Park, you get less of the author in the story. Some critics regard Northanger Abbey as one of the keys to Austen’s mindset. With little else to go by, Austen having requested that all her letters be burnt upon her death, such personal works as this one becomes crucial to historians, literary professors and majors, and Janeites alike. This novel gives as a clue as to what Austen’s mindset was during the period when she wrote this story. As a parody of Gothic literature, this book also succeeds in being possibly the most lighthearted and easy-to-read novel from Austen. This is why I highly recommend this book to all first-time Austen/Classic readers. Pride and Prejudice is, arguably, Jane Austen’s most popular work—and rightfully so! There is much to love about this novel. At its worst, it’s one of the wittiest, sweetest, and most heartbreaking romantic novels out there. At its best, it’s a stunning critique on nineteenth century etiquette and vanity. There is a reason why Austen’s works endure—why they’re still well-read and well-loved til now. Despite containing a plethora of archaic customs, these works are timeless when it comes to their relatability. 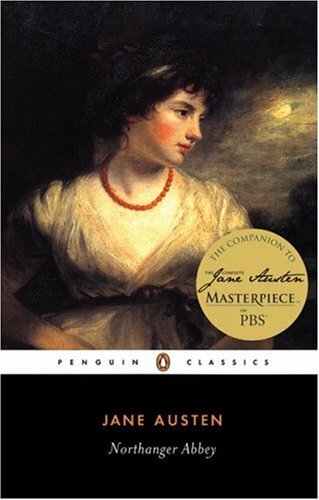 To demonstrate Austen’s wit, Pride and Prejudice starts with one of the most unforgettable lines in Fiction—“It is a truth universally acknowledged, that a single man in possession of a good fortune must be in want of a wife.” Let’s take a moment to appreciate the perfection of that line. It sets the tone for the entire novel. It lets the reader know what to expect from the book—a heavy dose of romance laced with just the right touch of comedy. To sum up a good book in a few lines, Pride and Prejudice follows the unlikely romance between the story’s main character, Elizabeth Bennet, and the immensely wealthy and seemingly proud, Mr. Darcy. Throw in Elizabeth’s meddling and sometimes-scandalous family; a failed romance between Jane Bennet (Elizabeth’s sister) and Darcy’s best friend, Mr. Bingley; and the sly machinations of the charming, Mr. Wickham—and what you have is an engaging and heartwarming piece of Literature. Obviously, to say that I enjoyed the novel would be an understatement. Pride and Prejudice is, actually, one of my go-to novels whenever I feel colossal disappointment over one thing or another. That’s why this novel gets an A+ for me. Pride and Prejudice begins when a charming and wealthy gentleman, called Mr. Bingley, moves into Netherfield Park in Hertfordshire, where Mr. and Mrs. Bennet live with their five daughters. The Bennet family isn’t rich, and their estate will be passed to their closest male relation upon Mr. Bennet’s death. To ensure that their children will be provided for, Mrs. Bennet has made it her duty to marry off each of her children to a wealthy young man. She rejoices when her eldest, Jane, catches Mr. Bingley’s eye. The two seem to form an attachment, but before much could be done (or celebrated), the pair is separated by Bingley’s best friend, the handsome and affluent Mr. Darcy, and his sisters. The twist comes when Mr. Darcy falls for Jane’s younger sister, the fiercely independent and witty, Elizabeth Bennet. And while I would love to go on a blow-by-blow account of how the two eventually fall in love, that would ruin the book’s buildup for you. (See? I learned from my last post!) And I would love for anyone to read this literary masterpiece, so I’ll stop right here. Plot-wise, the story is tight. Like its predecessor, Sense and Sensibility, this story contains a series of ‘surprise’ turns. But it deals with each turn well. Although circumstances do change the characters’ mindsets, these changes aren’t dubious or unexplained. These changes are the obvious reactions to specific situations. In short, you won’t find any OOC (out-of-character) moments here. Once again, Austen aces character development (and relatability). Her characters are, by no means, two-dimensional. Their personalities are distinct, their actions apt according to their respective natures. Austen also demonstrates her wit through the likes of Mr. Bennet and Elizabeth. Jane Bennet. I know that a lot of people identify with Elizabeth more, but to me, there’s much to love about Jane’s agreeable nature. Like Elinor in Sense and Sensibility, Jane epitomizes grace under pressure. Elizabeth Bennet. This list just isn’t complete without the novel’s lovable and opinionated heroine. Elizabeth, much like Marianne, is high-spirited, intelligent, and attractive. However, she also displays tremendous maturity, especially upon realizing her prejudices. Mr. Darcy. Alright, I’ll admit it. Mr. Darcy is, undoubtedly, one of the most swoon-worthy men in fiction. He’s quiet, reserved, handsome, intelligent, and incredibly wealthy. He’s the whole package. Why it took Elizabeth so long to come around, is beyond me. Okay, so maybe she was insulted at the ball, but how can one not love Mr. Darcy? Lydia Bennet. Lydia Bennet is the character you’d love to hate. She’s pigheaded and vapid, shameless and selfish. And yet, there’s something about her foolishness that’s perfectly attributable to her upbringing and age. Mr. Bennet. It’s easy to see which parent Elizabeth takes after. Mr. Bennet is witty and amusing. He’s also a bit cruel, sometimes—but he eventually gets his fill of humble pie (as does everyone else in the book). OVERALL: Definitely worth a reread. There’s a reason why Pride and Prejudice is considered the quintessential love story. It has all the elements of a great romcom with a dash of drama. I think that’s also the reason why there are countless literary adaptations to this piece. This is definitely a book I’d recommend to anyone who’s looking for a good romance novel—or for first-time Classic readers. “I cannot fix on the hour, or the spot, or the look or the words, which laid the foundation. It is too long ago. 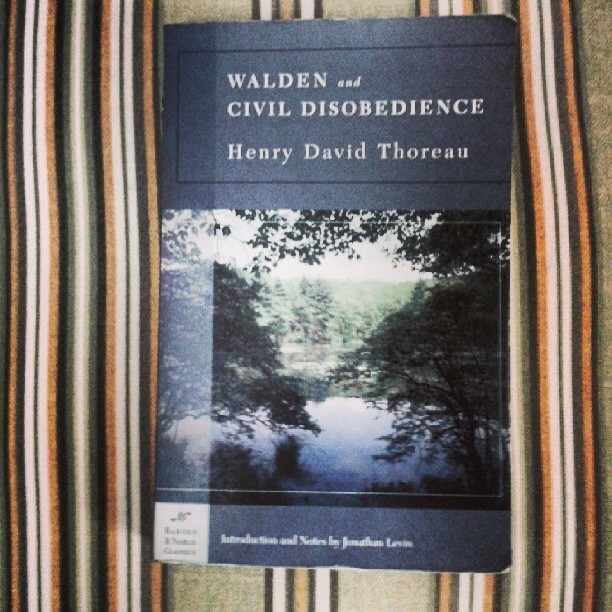 I was in the middle before I knew that I had begun.” – Mr. Darcy, Chapter 60. After Elizabeth asked him when he fell in love with her.